Your brand represents your business. You want to be known as a “good” brand—in fact, you want to have a brand. Part of what makes a business a brand pertains to that which sets it apart from other similar operations. Part of what makes a brand additionally is its recognizability. Public relations play a part, and the quality of products and services do as well. Logos and slogans are also key components of a good brand. The logo has an archetypal quality, as does the slogan. If you’re unfamiliar with archetypes, think of a cube as compared to a square. A square may be archetypal of a cube. Well, your logo should be archetypal to your business. That is to say: it should communicate what you do simply, in a condensed fashion. Nike uses a check-mark that is stylized as a logo, and this makes sense. With Nike, those who champion the brand are active. They’re doing things. They’re checking activities off a list. With McDonald’s, the “M” with rounded peaks communicates an “mmm” message; as in: McDonald’s food is delicious. Additionally, “M” is the first letter of the brand name. Your slogan further solidifies the message of your brand. With Nike, “Just do it” is easy to recognize. “I’m lovin’ it”, “We love to see you smile,” and many other slogans likewise reflect McDonalds’ core mission as a brand. You should seek to do something similar with your operation; but just like Nike and McDonald’s, don’t limit themselves to slogans and logos in terms of advertising, you’ve got to diversify as well. It makes sense to take into account the PR element of your brand. You want things to be properly trendy—logos, slogans, and aesthetic color schemes change. In terms of Public Relations, your brand needs to have a level of trendiness. Another part of your brand involves client interaction with varying resources, like a website, or a call center. Call centers need to have respectful, professional, polite, knowledgeable people answering the phones. Websites need to be easily navigable, direct, and pleasing to the eye. Live chat software solutions are increasingly popular, and can additionally demonstrate your brand’s value. If you’re not familiar with influencer-based marketing, it basically targets those in your target market who are most influential, rather than the entire market. This is why certain celebrities are often commissioned to endorse certain products or services. Those celebrities are seen as influencers to a constituency primarily congruent with the needs of the business who has hired them. Certainly, which kind of influencers you choose for your brand will differ based on your end goals. If you’re selling certain mechanical parts for a vehicle, someone from a Nascar event might constitute a fine influential target around whom to base your marketing. You can either market to them directly, or commission them into your operation--whatever works best. That said, the same kind of influencer would likely be a poor choice if you were trying to mommy products and kids clothing. A good rule of thumb here is to figure out what type of influencer - celebrity or micro - define the market you’re trying to reach, get a list of them, and go about both marketing to them directly, and seeing if you can bring them aboard your marketing campaign one way or another. This need not necessarily predicate direct hiring. For non-profit organizations, or even some for-profit tech companies, there will be influencers happy enough with products or services to endorse them without asking for compensation. Certainly that will differ per brand, but don’t assume you’re out a substantial cost initially. That being said, there are going to be those which are more expensive than others. Whether or not you work with them will depend on your projected ROI, and your existing budget for your brand awareness campaign. All these things together will combine to increase your sales—another reason solid branding is fundamental. You’re more likely to have conversions if your product looks trustworthy, and if on a subconscious level it is desirable. This is one of the reasons certain products today sold in stores are designed to look, literally, tasty. Consider those “Gumy” headphones, as an example. The designers of this product intentionally make it appear delectable, which increases the likelihood buyers will purchase their product. With your brand, you want to use similar strategies which naturally induce an amenable “vibe”. Your clients should be comfortable with what you do as soon as possible. Part of designing your brand will revolve around understanding your target market. Apple computing does this with it’s “think different” slogan, and a product design geared toward aesthetically pleasing computers. Again, it uses subtle archetypal engineering to draw in clientele. 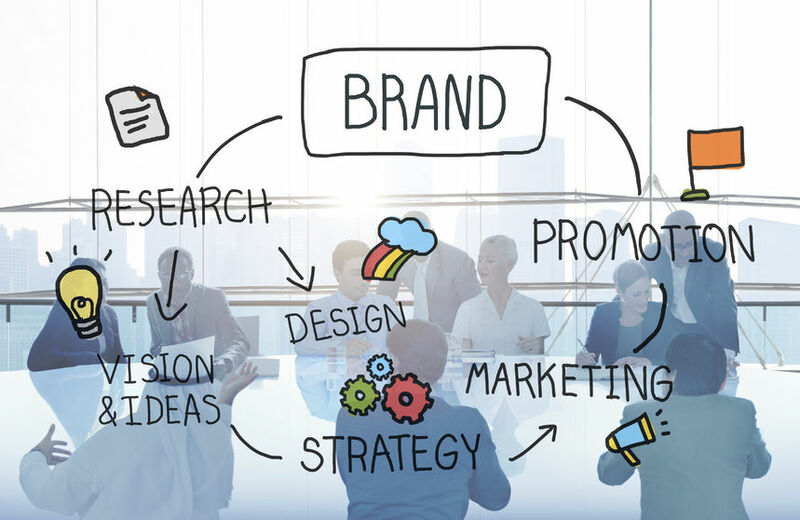 Finally, it makes sense to get your brand visible through marketing strategies. You’ll want to design SEO (Search Engine Optimization) campaigns, PPC (Pay Per Click) campaigns, and SMO (Social Media Optimization) solutions. The more continuous your online marketing, the better. Your brand is important, and ensuring its positive visibility goes hand in hand with establishing it.